The Lille-Stanges: Introducing. . .
We were blessed with the arrival of a healthy baby boy on the 23rd of February, just two days before my own birthday. 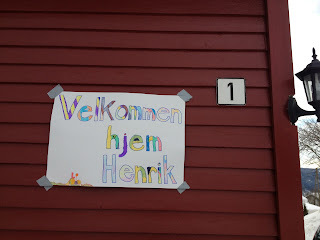 Henrik David weighed in at 3.93 kilograms (8lbs 10oz) and 51cm (20in) long. Labor was a relatively short and intense experience, as we arrived at the hospital around 8:30pm and Henrik entered the world at 11:23pm. It was a textbook labor and birth, and an even better recovery, leaving this midwife/mom quite relieved and pleased with the whole experience. 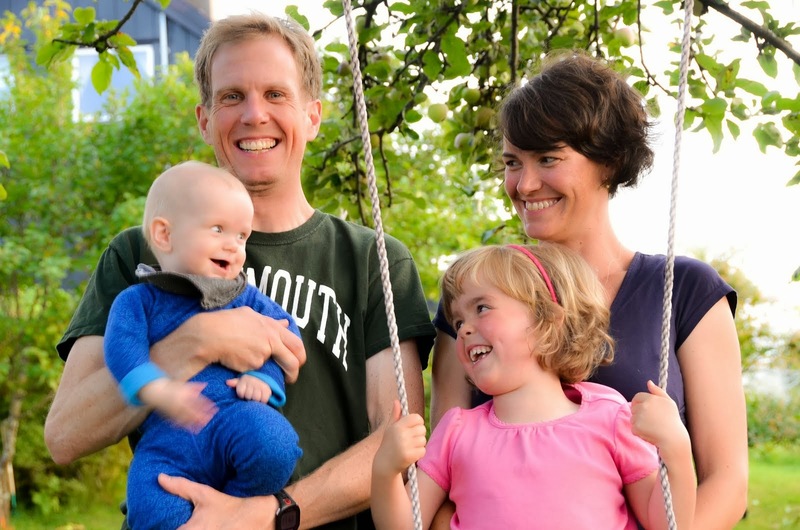 Erik had two weeks free from his job after the birth (thank you Norway!) and my mom is now visiting for two weeks. Greta stortrives (is thriving) and is a flink (capable) and stolt (proud) storesøster (big sister). It is all we can do to keep her from smothering him with kisses. Once we establish a more regular sleeping/nap schedule, I'll make an attempt at writing all the "maternity care in Norway" blog entries that I promised back in November. Until then. . .
We can't wait to meet him during our travels. Congratulations and what a lovely name! 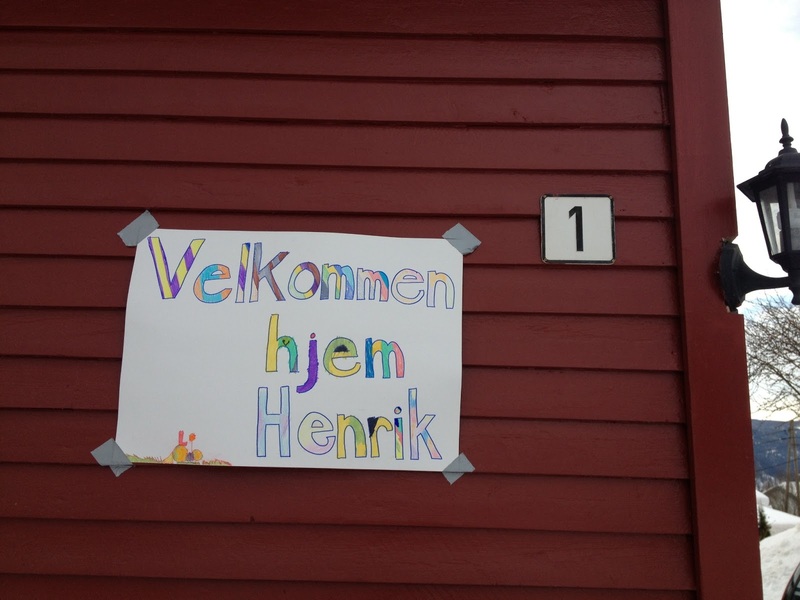 Congratulations on the arrival of little Henrik David! What a great picture of him w/Greta. Glad to hear of good delivery and experience. Enjoy, take care, good rest and all that. Can't wait to hear more and see more pics! Congratulations! Looking forward to hearing about your experience with maternity care!